Partly Qualified in ICASL/CIMA/ACCA/AAT Fully Qualified. Minimum Two year experience as a Accounts Executive. Computer Literacy (Handling of Tally Accounting Package is an additional qualification) Very good command of English and strong communication skills. 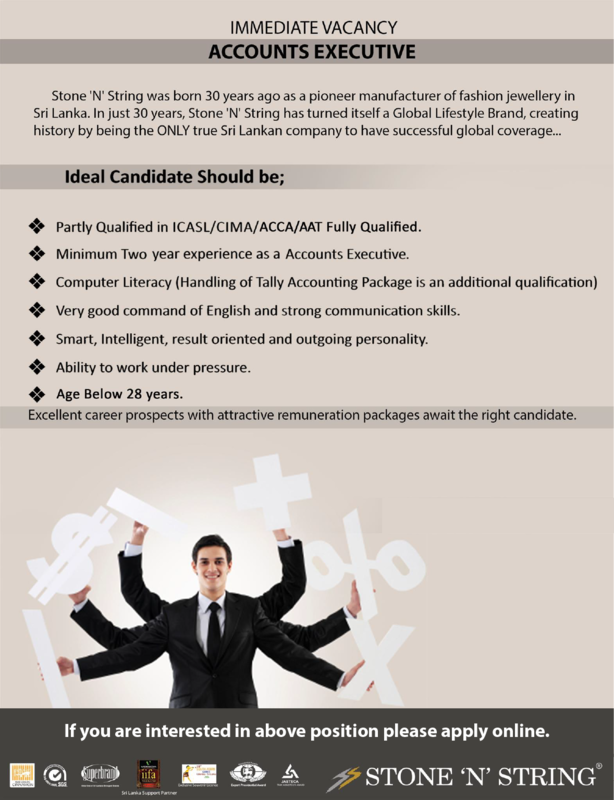 Smart, Intelligent, result oriented and outgoing personality. Ability to work under pressure. Age Below 28 years.